Rules and procedures are soooooo important to establish at the beginning of the year with any age, but especially with kindergarten! This is one of my absolute FAVORITE books to read to my kiddos at the beginning of the year! I always read it before we explore math manipulatives. 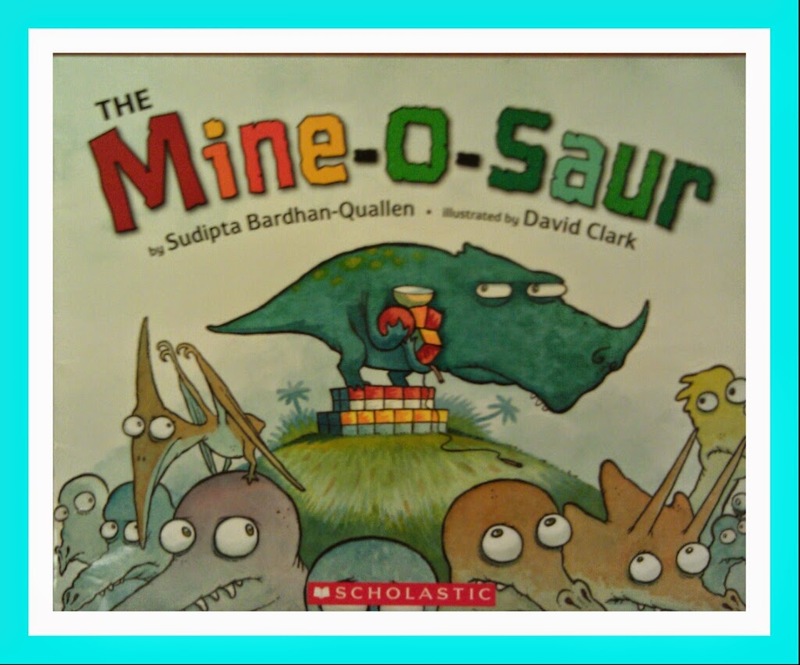 In this book, the Mine-O-Saur wants everything to be his and does not want to share anything with his school friends. The Mine-O-Saur realizes that if he wants to have friends, he is going to have to share and the ending of the book is so cute! I love this book because it is so easy to reference not being like the Mine-O-Saur was at the beginning of the story while they are exploring the manipulatives. They get so into sharing and it is so cute to see them excited to share with their classmates. This book is available from Scholastic and is definitely worth investing in! Click the picture below to link-up and share what books you like to use at the beginning of the year for teaching rules and procedures. Happy Beginning of the School Year! !